Holiday apartments are available for check-in after 3 p.m. on your arrival day. Check-in and key pick-up is at Restaurant Jagdhof next door: Flachauer Straße 104, A-5542 Flachau (coordinates: latitude: 47.3537615, longitude: 13.39453604). Please vacate your room on departure day by no later than 10 a.m. This will allow us time to clean for incoming guests. Park your vehicle in our underground garage, or on the car park outside our house. Sheltered parking for motorbikes is also available. All of our rooms and apartments feature wood furniture and are equipped with shower /WC, TV, safe and balcony. Sales tax, electric, hot water, heating, room safe and bedclothes are included. 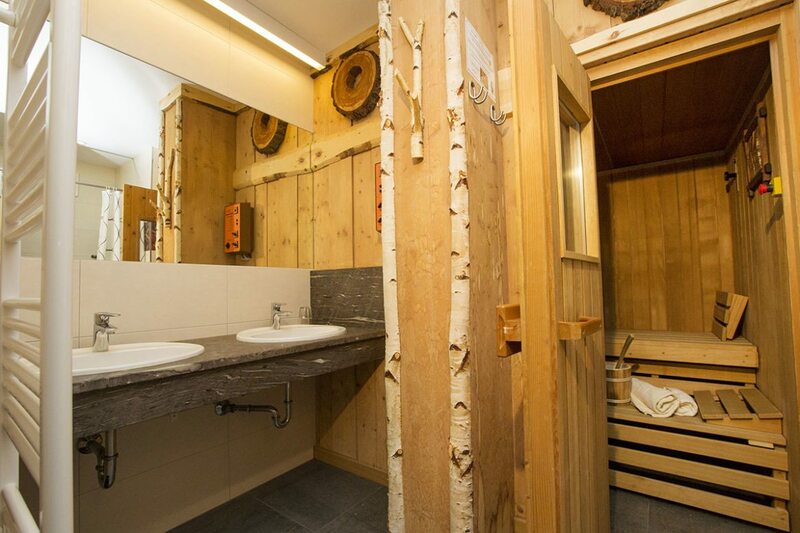 In the Alpen Suite, electric and heating are charged extra. Our holiday apartments are non-smoking. Please only smoke outdoors. A major benefit of staying at the Alpenfex apartments is our flexibility. Here with us, you don’t have to plan your meals in advance. Once you are here, decide whether you prefer breakfast-roll delivery, breakfast from the buffet, half-board or à la carte dining. You are also welcome to order meals from the à la carte restaurant and take them with you to enjoy in your own four walls. If you wish, we will be happy to deliver fresh breakfast rolls to your apartment from the local baker. In the evening, we serve you a 3-course dinner with a selection of main courses as well as side salad. You have the option of dining à la carte at Restaurant Jagdhof. You are also welcome to take your meal with you to enjoy in your apartment. Upon request, we are happy to provide at an additional charge (€ 5 per night) baby cots/cribs and high chairs. Your youngsters will be able to have all kinds of fun in the playroom at our partner business Restaurant Jagdhof, with its giant Softplay center and ball pit, push-cars and slides, as well as out on the playground. Restaurant Jagdhof also offers great kids’ meals. Free Ski Depot, 10 % rebate on rental equipment,.. Guests of Haus Alpenfex receive free ski and boot storage at Sport am Jet ski shop and receive a 10 % rebate on rental equipment. 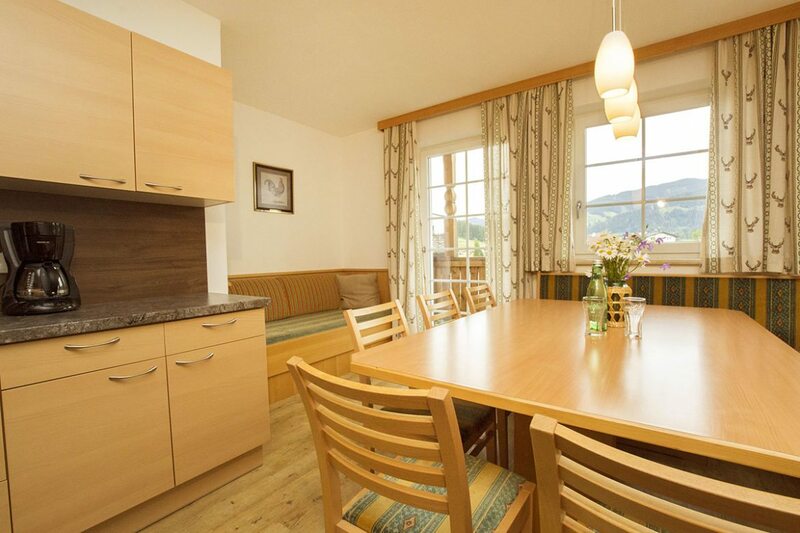 We want you to feel completely comfortable and relaxed during your holiday with us in Flachau. That’s why our cleaning team will service your room daily to keep everything nice and tidy. The nearest stop for the ski- & hiking buses is located about 60 m from our house. As a guest of the Alpenfex, you are welcome to enjoy glorious moments of wellness at our partner Hotel Alpenwelt (ca. 60 m away) – free of charge. Pets are allowed here with us. For each pet we charge € 10 per day, food not included. All of our apartments are equipped with free WiFi. The local tourism tax is not included in our prices and is € 2.20 per night and person ages 15 and up. Depends on the size of your apartment or suite. In order to guarantee your booking, we request a deposit (the precise amount of which we will provide in timely fashion). Please transfer the deposit to our bank account. The remaining amount due should be paid in cash once you are here. A booking is also a purchase contract. In the event of cancellation, delayed arrival or premature departure, you will incur cancellation fees. For this reason, we recommend purchasing cancellation insurance, such as is offered by Europäische Reiseversicherung. Cancellations are handled in accordance with Austrian Hotel Contracting Guidelines. All prices are in euro. Not liable for errors or inaccuracies. Subject to change.